A previous version of this article contained factual inaccuracies, such as that the rental agreement that the DA mentioned was for a state-owned building. The article also created the impression that Hantsi Matseke bought the building from the Free State government. The article has been edited to reflect the correct information. Netwerk24 apologises to Matseke for the confusion that was caused, as well as for not giving her right of reply to the DA's allegations. She has since denied these allegations. Investigators at the Zondo commission into state capture have been given information relating to R80m in cash that was allegedly found in the boot of a car belonging to a Free State government official, Netwerk24 reported on Tuesday. According to information obtained by Netwerk24, the official who found the money called a senior ANC official who rushed to the scene. The investigation into the suspicious cash was then reportedly halted. The incident took place earlier this year near the farm of now-deceased Sandile Msibi, the former head of the Free State Department of Police, Roads and Transport, north of Heilbron. The official in question reportedly worked for the same department. Msibi was a confidant of Ace Magashule, former Free State premier and current ANC secretary general. Both are originally from Parys. The information relating to the R80m forms part of an investigation into the movement of cash that was allegedly operated as part of a corrupt network run by Magashule. The book Gangster State - Unravelling Ace Magashule’s Web of Capture by investigative journalist Pieter-Louis Myburgh also notes the practice of using cash for corrupt transactions. Following the book's publication, Free State DA leader Patricia Kopane made allegations relating to another corruption scandal allegedly implicating Magashule relating to contracts of state-owned buildings. At a media conference in Bloemfontein, Kopane said the R30bn that allegedly "disappeared" owing to corruption during Magashule's decade-long tenure in the Free State could be "a drop in the ocean". It is alleged that Magashule ensured that he received a handling fee and "favour payment" of 10% of the value of all contracts awarded by the Free State government. The DA alleged that it had information about a scheme used by Magashule during his tenure as Free State premier to manipulate rental agreements for state buildings "to the benefit of a few close friends and himself". The party said it had submitted the information to the Zondo commission. The DA said the rental contract "enabled a close friend of Magashule to make improvements to the building using its rent while the building was not yet occupied by the department". In terms of the rental contract, that Netwerk24 has seen, the Free State Department of public works signed the rental contract for the former Saambou building, located on the corner of Charlotte Maxeke Street and Aliwal Street in Bloemfontein, for an amount of R726 167.36 per month from February 1 last year. The DA also alleged that "improvements are still being completed and that the building would only be occupied by the department within a few months". The DA further said it had information that, during his last days in office as premier, Magashule allegedly insisted that his friend be awarded the rental contract. The DA said the company the contract was awarded to was called Mayula Procurement and its director is Hantsi Bhetilda Mayeza, who is also the chairperson of the Free State Development Corporation. Matseke has since strongly denied the DA's allegations. The DA also said that she was involved in various other property scandals with Magashule, inclusing one involving Magashule's daughter. The DA handed copies of the rental agreement – which is signed by the MEC for public works and infrastructure, Dora Kotzee – to journalists. 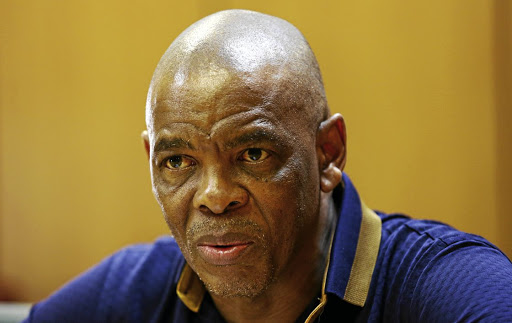 Kopane said the DA had for many years laid several charges relating to corruption scandals involving Magashule with the police and the Hawks, but that nothing had come from these. Not a single case was investigated to the point of a dossier being referred to the National Director of Public Prosecutions. The DA said it would submit its information, as well as a copy of the rental agreement and photographs of the building – that is still undergoing repairs – to the Zondo commission. "We hope that the commission will summon Magashule to testify." At the weekend, the Free State EFF said – once in power – it would ensure that everyone who allegedly stole from the government would be prosecuted and jailed. This included former president Jacob Zuma, President Cyril Ramaphosa and Magashule.